Americans have been known as the nation that is constantly on the move. Whether they are moving to a new home in the same city, heading off to a new region, or an entirely new state, Americans don’t stay long in one place. According to data from the U.S. Census Bureau, the average person in the United States moves residences more than 11 times in their lifetime. Europeans, on the contrary, move only four times throughout their lives. So where do Americans go? How do they manage? Why move at all? After the recession there were big moving waves towards the Northeast. Everyone was looking for a job. Yet, this led to higher living costs in the region, too. The cost of living in the Northeast is one of the highest in the country. A study by the personal finance website GoBankingRates.com showed that the biggest financial fear of people in the Northeast is living in debt forever. It seems like the jobs that brought them to the region are not paying well enough for most people to stay in these states. As other regions in the USA get back on their feet, more people start moving out of the East and back South and West again. People keep looking for warmer and calmer weather. The largest migration between states is from New York to Florida, according to data from the Census Bureau. Somehow the storms in the North scare people more than those in the South. For example, in 2015, Boston had its snowiest winter on record, and New York City lived through its snowiest blizzards in 2016. Well, naturally, people’s paths evolve over time. Sometimes the next stage in life requires a new location to it. Moving to college, pursuing career advancement, getting married, retiring… All these events are big steps in everyone’s life. And very often the decision to move is driven by internal motivation rather than by factors in the environment. Sometimes you don’t need a big change in your life to desire a fresh start. Sometimes even a bad breakup is enough to make you get your stuff and move all the way to California. The hard part is actually not giving up on your decision during the moving process. Budgeting is always an important aspect of any new adventure. It is an important part of your moving and settling period, so don’t overlook it. Depending on your financial allocation and goals, you can easily sit down and put a few numbers together. You should already be familiar with the cost of living in the new region you are moving to. Think about who you want to involve in the moving process, too. Would you like to hire a moving company? What time of the year are you moving in? Moving in winter usually requires more effort and more money. Would you invite friends to help you pack and move or would you hire professional movers? Do you need a cleaning service after you pack? This is always the first step. And the step everyone wants to skip. Isn’t it? Yet, good planning is the only way to be effective when relocating. The number one priority on your list should be to get rid of everything you will not need. Or you are not sure whether you will need. In most cases, this is a no. You could organize a donation pick up to help you free the space sooner. Then, sort everything else by category. Label the boxes and look for a moving company or someone who can help with transportation. Be smart about the day when you want to move! Moving companies are busiest on weekends, so if you can skip the Saturday chaos and schedule your move for a Tuesday, you might get a significant discount. Yes, this might sound funny at first. But it seems like the chances of having your identity stolen are higher during moving seasons. If you do not do your homework and do not pay enough attention, it is rather easy for thieves to take advantage of your stress. A lot of people think that no one can benefit from stealing their identity, so they don’t do anything to protect it. We believe it’s better to protect yourself in advance rather than to be sorry in the end. Read our tips on protecting your identity during moving. Whatever your reason for relocation is, you would most likely want to take your car with you. One option would be to drive to the new destination. However, this could be an exhausting choice. Especially if you are driving across the country. It could take you several days and you will get to your new home completely used up from all the travel. But let’s say this is not a problem because you are only moving to the neighboring state and you really want to drive. Which car will you be driving, though? With households that have more than one vehicle, it may get tricky. Even trickier if you are single with more than one car. You need to take your daily sedan but you want to take your sports car or your classic, too. Should you ask a friend to drive your vehicle? Would you pay for his trip back? In case you don’t want to deal with too much hustle and planning, ship your car with an auto transport company. The main benefit of shipping your car instead of driving is that you will have one less task to worry about. Hiring a professional company to transport your car is the best and safest option. You never know how bad of a driver your friend could be when he is not driving his own car. Transporting your car also proves to be the most cost-effective option when you are relocating. The price always depends on your vehicle’s make and model, the distance that needs to be covered and the availability of carriers. Read more about the cost of shipping a car to understand the process fully. Corsia Logistics provides only manual prices that reflect current market conditions. You can request a quote online or call us to ask for more details. If this is your first time shipping a car, make sure you choose a reliable and trust-worthy partner! Keep in mind that smaller companies are the ones who will treat you with care and respect. To them, every customer is important. Quite often bigger auto transport companies will give you a higher price. Just because they can. Smaller ones will give you the attitude of someone important. They want to make you a loyal client. A big advantage of auto transport is the opportunity for shipping your car in an enclosed carrier. This guarantees the protection of your vehicle against any weather conditions or debris from the roads. If you are a classic car owner, this is the way to go. You don’t want to ruin a 50-year-old gem on the I-95, do you? Enclosed auto transport offers your car a safe journey and gives you peace of mind. This service comes with a higher price because of the extra training drivers need to be able to give to your car. You want to know your car is in good hands while you prepare for everything else that awaits you in your new adventure! A study conducted by Lending Tree found out that there’s a new wave of homebuyers heading south. The company analyzed all purchase mortgage loan requests in all 50 states in the period between October 2016 and October 2017. The trend of people moving South has been going on for several years now. Only between 2014 and 2015 the southern states saw an increase of almost 1.4 million people. According to the Lending Tree’s study, the top three destination states are Florida, Texas, and California. Washington holds the fourth position. And Massachusetts, Minnesota, and North Carolina share the fifth place. Most people looking to move outside of the state don’t want to go too far. More than half of the most popular new destination states border the current state. South Carolina leads the out-of-state popularity, followed by four more states in the South. It is no surprise that Florida is a top destination for many Americans. The Sunshine State has a history of attracting visitors from all over the country. If you consider yourself young and hip, move to Miami. 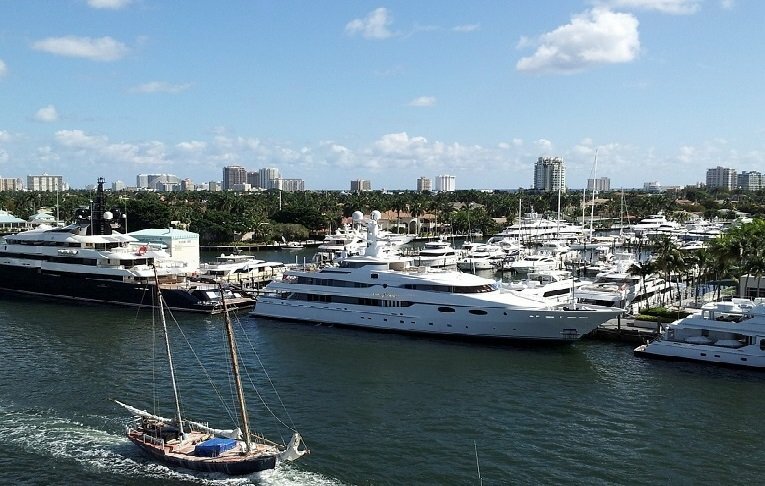 Ocean Drive, the Art Deco district, and Coconut Grove are full of inspiration of all kinds. Most of the other movers are adults close to retirement age or elderly people. Baby boomers now feel more secure economically in picking up and moving to traditional retirement oases. The state attracts them with its warm climate and affordable cost of living. Unlike people looking for a permanent place to stay, snowbirds are only looking for a short-term change of home. This is why their moving patterns are slightly different. They would rather look for social and vacation opportunities rather than the most economically reasonable destination. Many think that the snowbird lifestyle is for the rich and famous. But today, a variety of accommodations in every price bracket allows many people to live the snowbird dream. If rodeos are your thing, y’all are more than welcome to move to Texas! The State has now become popular not only because of its cowboys, rodeos, and barbeque but also because of its young vibe. Cities like Austin are now among millennials’ top destinations. Once known as a crowded college town, today Austin is the fastest growing city in the US. It has a great music scene, wonderful parks, and outdoor activities. Moving to Austin may be an amazing experience if you are a festival person, too. Just mind the festival times – traffic around these dates can be horrible. 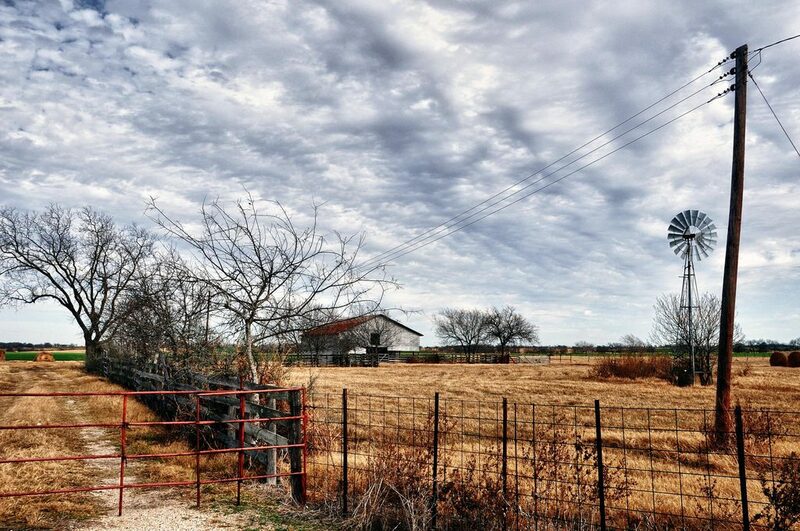 Economists say that Texas has a more stable economy than California and offers great opportunities. It is said that North Texas has a thriving job market with great salaries and a variety of great companies to work for. California is the most populous and one of the largest states in the US. The Silicon Valley has made Los Angeles and San Francisco some of the most expensive cities to live in. Finding an apartment or a house could prove a bit difficult, especially if you have specific preferences about the neighborhood and the type of housing. 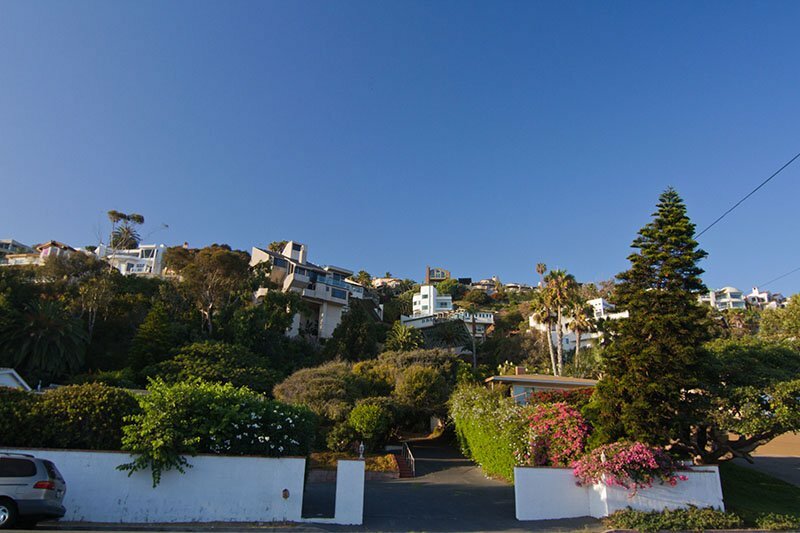 If you are moving to L.A., budgeting your move will be of crucial importance. Yet, the actual best part about California is not the big city life. Its nature and a myriad of exciting opportunities when it comes to art and culture. One good outdoor place is Runyon Canyon. If you are lucky, you might even run into a celebrity or two. If you are a true nature lover though, you should move to San Francisco! San Francisco is noticeably eco-conscious. There are numerous practices in the city that make people think about a more sustainable life. The recycling and compost are a way of life and both people and businesses take them seriously. The California region is the heart of all-American love for classic cars! SoCal is where you will find the highest number of museums and auto shows for classic cars. You can meet celebrities who have whole collections of classics! You might meet them traveling around the shows with their polished babes. 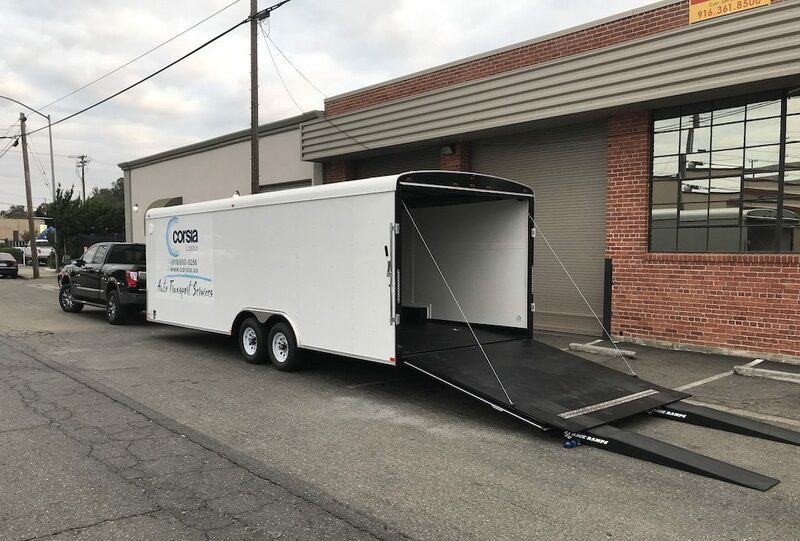 If you are transporting your car within the boundaries of California, we can help you with our very own enclosed trailer. It is 24ft-long single-level, single-car carrier. This makes it preferable for transportation of highly valued vehicles which need the highest level of protection. Your classic Lincoln can survive the moving better when you give it the comfort of white-glove auto transport service and careful treatment. Make sure you call us directly, so we can arrange vehicle shipping service tailored to your specific situation. 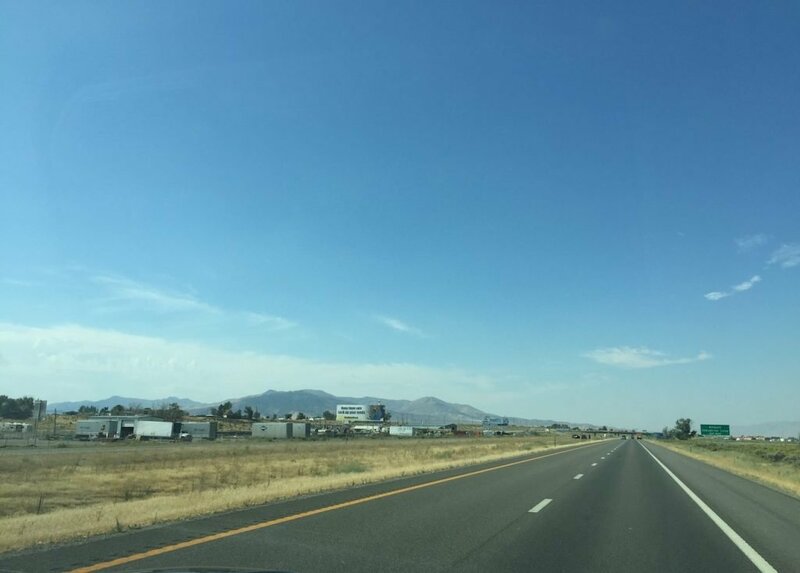 We would be happy to be your partner in moving your car – whether it’s within California or all the way across the country. Bon voyage from Corsia Logistics!